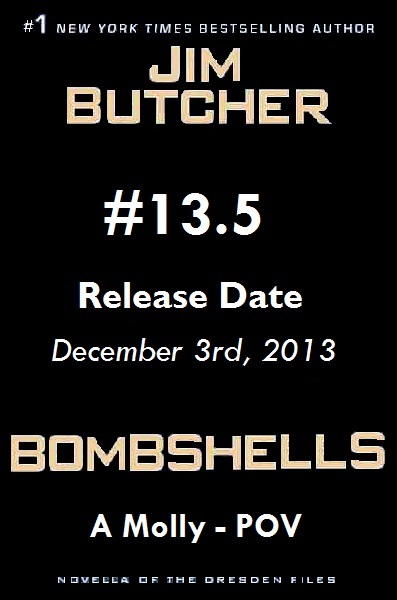 The good news: Jim Butcher has a short story from Molly's Point of view coming out December 3rd! The novella is titled Bombshells and is part of a multiple author anthology called Dangerous Women. Bombshells takes place between Ghost Story (Book 13) and Cold Days (Book 14). Based on the title, my guess is Bombshells explains how Molly goes from being on the street to her apartment and what the unexplained "impressive part" that involved a bomb (as hinted at in Cold Days) was all about. Dangerous Women also contains stories by George R. R. Martin (A Game of Thrones), Lev Grossman (The Magicians), Diana Gabaldon (Outlander), and many others. You can pre-order it from Amazon and add it to your goodreads shelf using these links. Now onto the really exciting part, WE HAVE AN EXCERPT! Many thanks to TOR.COM for the official excerpt release!